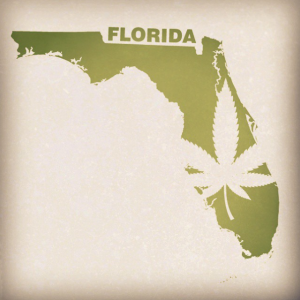 Did You Know There’s a Medical Marijuana Drive-Through in Florida? Why do fast food and café chains have drive-thru options? This makes ordering and pickup a timesaver for customers. Well, it looks like several medical marijuana dispensaries are following suit. Several counties in the state are opening cannabis shops with pickup available via drive-thru. Find out how the process works and how you can take advantage of it. Unlike a fast food restaurant, you can’t just arrive and place an order through a speaker. Most centers require first-time visitors to step into the shop for a private consultation and to submit their medical paperwork. Once they do that, they can place orders online and use the drive-thru system to pick up their medication without ever having to step outside their car. So far, there are locations over three counties: Miami-Dade, Palm Harbor, and Lake Worth. If the drive-thru is a success, then expect more similar outlets to pop up throughout Central Florida and surrounding areas. The center comes courtesy of cannabis dispensary Curaleaf. The whole drive-thru concept is still in its experimental phase. As far as payment goes, Curaleaf only accepts payment via cash or Cannapay; the latter operates in a similar fashion as PayPal. Why Is a Medical Marijuana Drive-Thru Beneficial? What’s so special about a drive-thru for picking up your cannabis medication? Many patients with a medical marijuana card are taking the medicine for pain. Many find it difficult to complete everyday tasks, such as walking or getting up from a chair. A simple task like getting out of a car, walking into a store, and getting back into a car can be an insurmountable challenge for pain patients. A drive-thru center eliminates this problem altogether. Of course, you can always have someone else pick up the medicine for you. However, keep in mind that many patients are still in the closet about their marijuana use due to the stigma associated with cannabis. It’s not just patients that benefit. If the venture takes off, then you can expect more stores opening, which translates to job growth. As of the date of this post, Curaleaf has a total of 30 marijuana drive-thru centers, 15 of which are in Florida. This means employment opportunities for those interested in getting their feet wet in the industry. The concept is also taking off in other parts of the country. Nevada was actually the first state in the country to get a drive-thru, and Washington state also just recently followed suit. Other establishments are also opening weed-friendly cafes, which operates much the same way as a smoking-friendly bar. A marijuana drive-thru opens the industry to new ways in which it can assist patients. With greater access comes more reason for dispensaries to commit to quality assurance. This is where a Florida testing lab like Modern Canna comes in. Send us a sample so we can evaluate its contents. A Florida testing laboratory should be a part of your commitment to customer satisfaction.